It would seem Brexit is old news and the real crisis in the UK (according to the social media ‘news’) is a shortage of courgettes (zucchini) in the supermarkets #courgettecrisis. The Home Counties, it would seem have been particularly badly hit. I was even approached this morning by a family member who seemed to think I could magic up a stash of this green gold and make my millions trading them with Tesco or Asda. This is quite a turn around as our family are normally to be heard muttering “oh no, not another bloody courgette” when they come out to visit and get served courgette quiche for starters, spiralised courgette for lunch, courgette curry or risotto for dinner and courgette and chocolate brownie for dessert. When I think of courgettes I think summer, sunshine and seasonal produce; when my car windscreen looks like this, my washing freezes on the line and my potager is as solid as a block of ice, funnily enough my courgettes aren’t growing either. 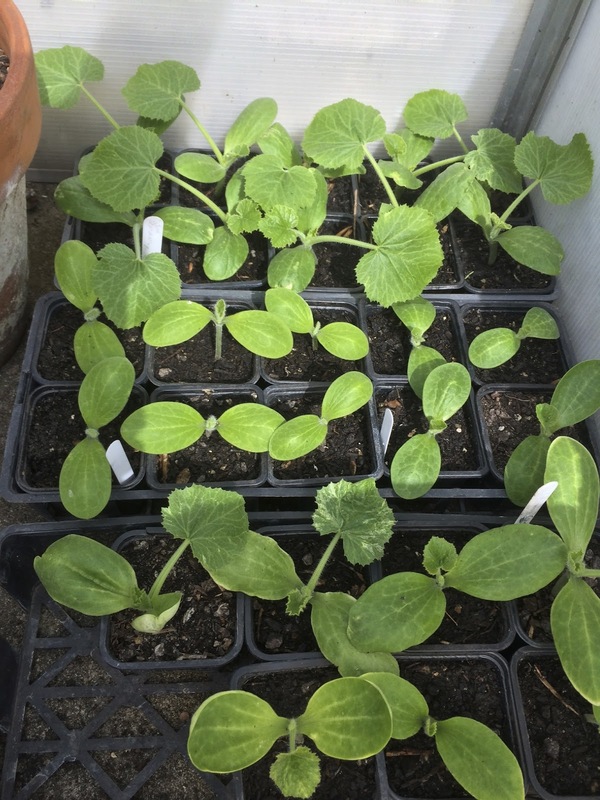 In fact I haven’t even started sowing my seeds yet as it’s too cold. Courgettes are wimps. They might grow rapidly from a tiny seed to a huge-leafed plant that does all it can to take over the vegetable plot, but show it even the tiniest hint of a frost on a cool September night and that’s it, finished. It curls it’s leaves up and slinks off, muttering about seeing you in late spring, if the weather is warm enough. The New Year, it would seem, is a time for a New You; a fresh start on healthy eating and spiralised courgettes are in big demand. I love my spiraliser too and the vibrant colours of my spiralised courgette salads eaten with freshly picked, sun-ripened tomatoes and served on a sunny terrace can’t fail to bring a smile to my face. However it was -5 this morning, I needed two pairs of gloves on my dog walk and long johns have become the norm; a spiralised salad for lunch is even less palatable at the moment than Theresa May. I need soup, steaming hot, spicy soup, packed with winter vegetables and made with bone broth stock. Just as healthy as a spiralised courgette, but seasonal, so in my opinion, better. 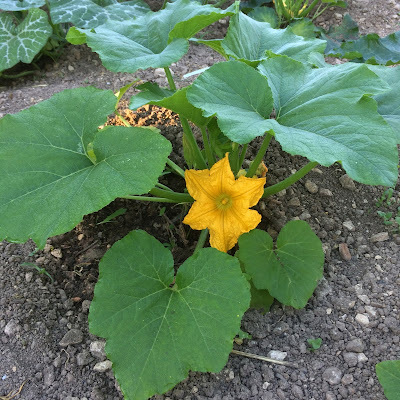 At this time of year there are so many great winter vegetables to choose from, whether it’s Jerusalem artichokes freshly dug from the garden, winter squash stored from last autumns harvest, or leeks from the village market, you don’t need courgettes and their excess air miles. I do admit to having a sizable stash of frozen courgette purée, but sorry, I’m not sharing no matter how much you are willing to pay, it's mine and mine alone. 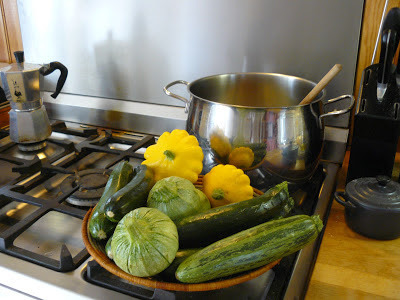 I am happy to share some courgette pictures, just in case any of you are missing these green and yellow beauties – enjoy!